And by basics, I mean make-up basics; the kind of things I reach for on a daily basis. It’s funny though — my definition of basic probably isn’t the same as yours (although I find that fellow beauty addicts are more likely to have things in common) and it certainly isn’t the same as my mother’s, for example. I shudder at the thought of leaving the house without wearing eyebrow pencil, whereas for her it’s all about the eyeshadow and mascara. Anyway, as usual I ran out of everything at the same time so a trip to town was in order. Here are my thoughts on the products I picked up. Not quite the shade for me; Brown is a little too light. Unfortunately the only other shades available are Grey Brown, which is even lighter, and Soft Black, which is too dark for my hair and too harsh next to my skin. I do like that it comes with a spoolie on the other end though — they are invaluable for brushing out brows and distributing product evenly — and the pencil itself is firm without dragging. 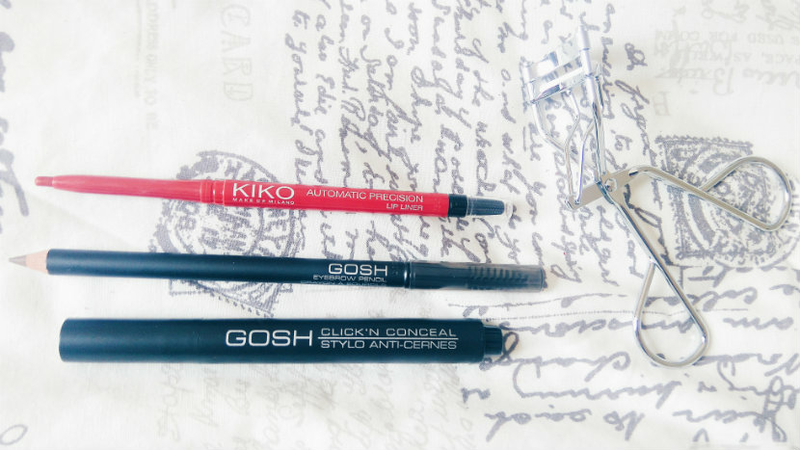 All in all, the GOSH Eyebrow Pencil is not one to discount, but do check the samples more thoroughly than I did before buying. After a bit of a lukewarm start with Click ‘n’ Conceal I’ve found what it truly excels at: covering my undereye circles. It’s peachy enough to hide any blue tones but also light enough to blend in with my extremely pale skin. The coverage isn’t quite as full as that of the NARS Radiant Creamy Concealer but it still makes a noticeable, my skin but better kind of difference and that’s all I need right now. I do love the effect eyelash curlers have — who can resist having such a wide-awake flutter? — but I also don’t want to spend a fortune on them. Fortunately the Superdrug Eyelash Curler costs a mere £1.99 and really squeezes the eyelashes (without breaking them, I hasten to add! ), creating a pretty curl that lasts. Bargain. 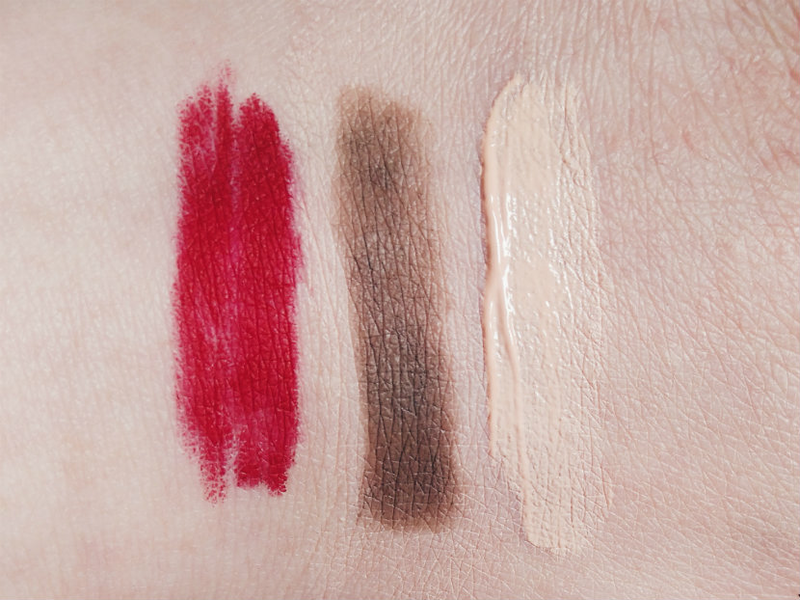 What beauty bits have you bought recently? And what are the basics you can’t live without? Let me know in the comments!